Navatri has started and you must have decided your evening outfits and hairdos. But what are you wearing on your nails? Navratri is the one opportunity that we all get to dress up to our heart’s content especially in Indian traditional clothing. We love the dandiya, the dressing up and the fun these nine days bring. 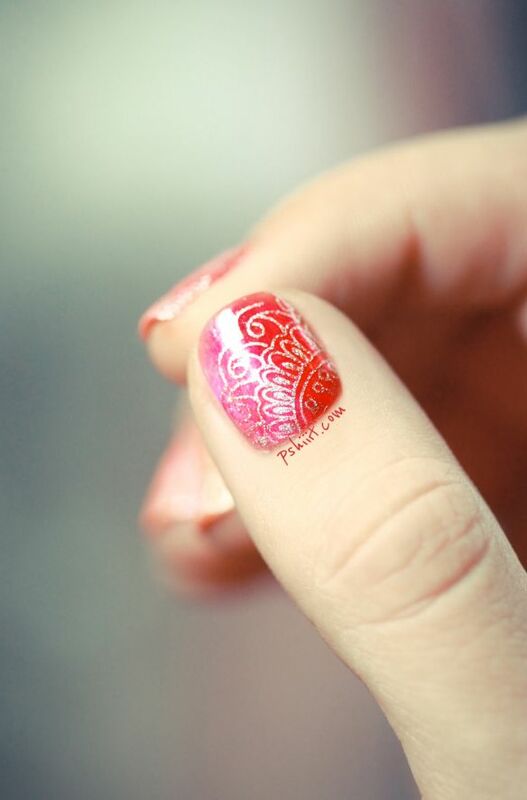 So we have brought you the best nail art designs that you can flaunt for the upcoming 9 days. What sets navratri nail art apart from the other everyday nail art? Of course, it is the traditional element of design that goes into creating these masterpieces. Whether it’s the choice of the colors or the design or even the kind of embellishments you go for, everything changes when it comes to navratri designs. To start, opt for a simple but strikingly Indian design with an elephant motif on your fingers. Nothing is more Indian than an elephant, and these have featured in all Indian designs – from clothing to architecture. 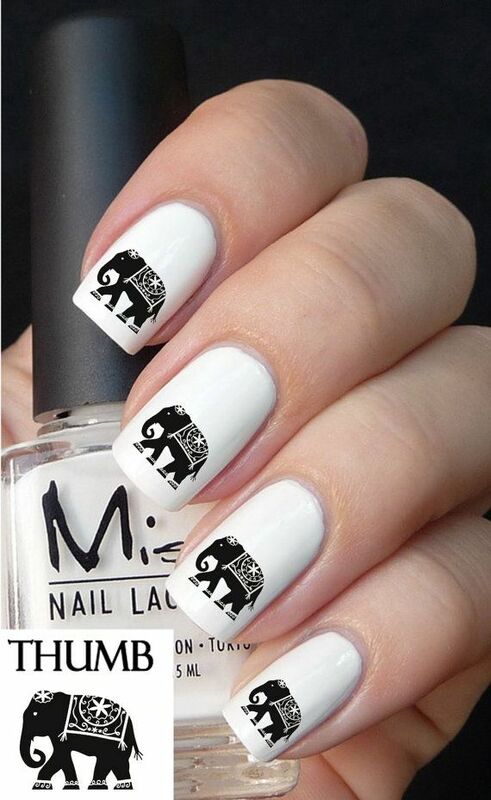 Keep your base coat simple and let your elephant motif do the talking. Another great idea while creating navratri-special nail art is to keep the design extremely close to Indian sensibilities. 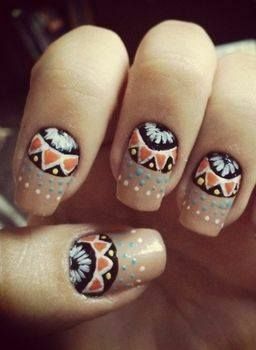 Opt for a design which almost looks like a mini rangoli, perfected on the tiny space on your nails. Take a basic rangoli design and replicate it across all your nails, or if that seems like too much trouble, just do one nail and keep the others coated with glitter. A very common way of drawing rangoli is using dots to give definition to shape. The dotting technique in nail art gives you the liberty of creating almost any Indian design (especially the flowers) in great detail. Add a few tendrils to your flowers for just a touch of more detail. My favorite bit about navratri nail art is the amazing different types of embellishments you can experiment with. Keep them traditional looking and maybe with a little touch of bling to heighten the drama. Use a navratri color like a deep red or a maroon as your base, or even something light and feminine like a pale pink. Then stick on these gorgeous ethnic additions. It is not only easy, but it provides a completely different effect to your whole look. For those of you who are short on time, or are new to nail art, the simplest way of getting the perfect design that you want is to use a glittery color like gold or a silver (preferably matching the metallic elements of your lehenga) to create the designs. Go for easy and simple patterns and replicate them on your nails using your zero brush. So what are you waiting for? Dress up your nails with these nail art designs this navratri!